Disclosure: Some of the links below are affiliate links. 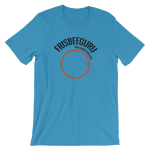 At no additional cost to you, FrisbeeGuru receives a small commission if you use the link and make a purchase. There are many techniques to applying fake nails for jamming. I usually glue them on with Krazy Glue. In this video, Dani show’s his technique of using double sided tape from Uhu. This is perfect for those who don’t want to or can’t use glue. If you’re looking for tips on the equipment needed to get started with Freestyle, check out this article. If you have any questions, leave a comment below, or contact us directly. We’d love to help! Appendix from Dani: after a couple more years of experience, it is recommended to use a nail-polish block to shine your own nail (until really shiny). That way there is no need for any isopropanol. It’s very fast, more effective and less chemicals on your nails. It holds days, but can still be taken off without harming your own nail (as it can occur with super glue). Perfect for beginners and pros in my opinion. Please share your experience! Appendix: after a couple more years of experience, it is recommended to use a nail-polish block to shine your own nail (until really shiny). That way there is no need for any isopropanol. It’s very fast, more effective and less chemicals on your nails. It holds days, but can still be taken off without harming your own nail (as it can occur with super glue). Perfect for beginners and pros in my opinion. Please share your experience! Thanks for the update! I have not yet tried the tape but I will give it go. I updated the article with your notes.